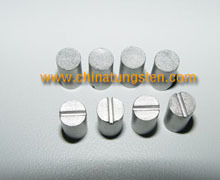 What Is Tungsten Heavy Alloy Golf Weight? 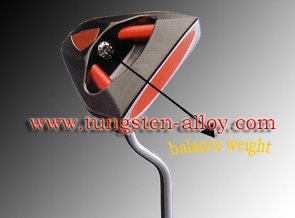 Tungsten alloy golf weight is now well known as the best material for this significant role of golf club balance weight. 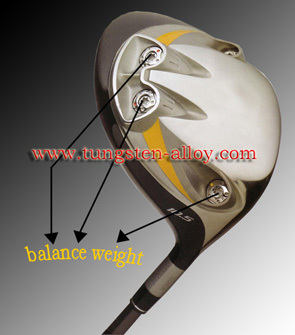 You can have a general impression for how tungsten alloy is applied to balance the golf club's better control from the below pictures demonstration. A golf club head includes one or more balance weights for swing balancing the golf club. The balance weight is selected from a plurality of balance weights and mounted in a weight cavity formed in the golf club head. 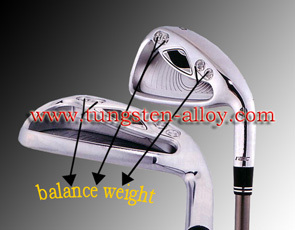 Because of their unique properties, tungsten alloy golf weights are well suited for use as weights for sports equipment. The product have a density twice that of steel and weigh seven times more than aluminum. Tungsten alloy inserts allow manufacturers to focus the weight in their golf clubs. This process has lead to improved launch, spin and forgiveness. We welcome the opportunity to cooperate with our customers in the design of individual specifications of tungsten alloy golf weight. Our mission is to meet individual customer requirements of it. Flexibility is our strength. We pride ourselves on being able to find the right solution to customer's problems of product. 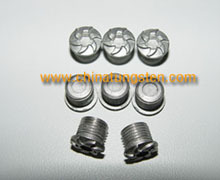 It is one of our leading products.We can provide all kinds of product as your requirements. 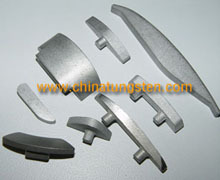 If you have any interest in tungsten alloy golf weight, please do not hesitate to contact us at sales@chinatungsten.com sales@xiamentungsten.com. Or call: 0086 592 512 9696, 0086 592 512 9595.